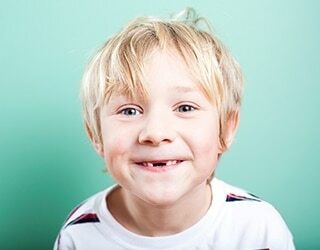 Missing a tooth isn’t as harmless as you may assume. The fact of the matter is that complications such as loss of jawbone density and finding difficulty speaking are common problems associated with losing teeth in adulthood. Fortunately, dental innovation is on the rise and stem cells have stepped into the ring as a potential method for scientists to regrow teeth with stem cells directly in a patient’s mouth. While stem cells have been shown to provide immense promise in the medical community for quite some time now, only recently have stem cells’ potential to change the landscape of dentistry become more widely known. 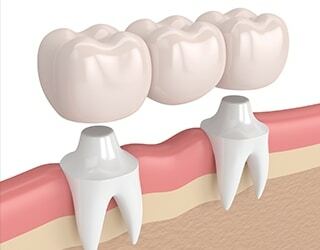 While adults with missing teeth were once limited to tooth replacement mechanisms such as dental bridges, dentures, and dental implants, these options have their limitations – making stem cell teeth all the more attractive! Stem cells are primitive cells found in all multi-cellular organisms. They possess the power to self-renew and generate complex tissues and organs. 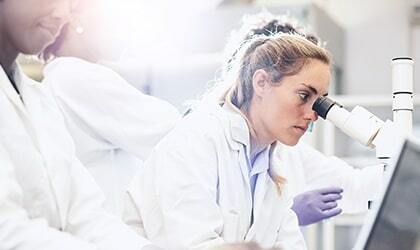 Postnatal stem cells are available in humans of all ages, and when used for growing tissue – do not possess much of a risk of immune rejection. 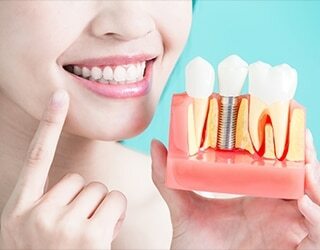 While at this moment, research for stem cell dental implants remains in its early stages, the benefits that this new and improved tooth replacement option may bring are well known. 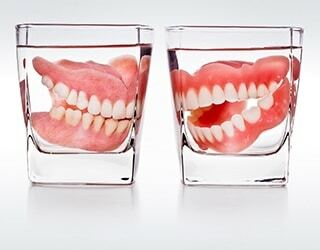 Research centres all over the world have been working tirelessly to develop a method that will allow for people with missing teeth to use their own stem cells to regenerate a new anatomically correct replacement tooth that will provide the perfect fit! According to a recent study, adult dental ectomesenchymal stem cells that have been isolated from the dental pulp, exfoliated deciduous teeth, the periodontal ligament, the dental follicle, and dental papilla can differentiate into dentin, periodontal ligament, cement and dental pulp tissue. At this time, the most promising research is currently being conducted at Columbia University Medical Centre. The method being used at Columbia uses a 3-dimensional scaffold created from natural materials that is designed to attract the body’s stem cells to grow a brand new tooth. Thus far, the results have shown that a new anatomically correct tooth can be generated in as little as 9 weeks in the lab! Furthermore, another research team led by Pam Yelick, a professor of Orthodontics and the Director of Craniofacial and Molecular Genetics division at the Tufts School of Dental Medicine has also made exciting progress. Using a similar 3-dimensional tooth scaffold, Yelick’s team has developed natural teeth in the lab that were implanted into a pig jaw, which further developed into adult teeth within a few months. With all the resources being put towards researching stem cell dental implants, it’s only a matter of time before dental clinics around the world begin offering this service. While this reality may not exist for years down the line, keep your finger on the pulse to learn more about how this potential tooth replacement option could change the face of dentistry! In the meantime, if you’re looking to undergo a dental implant procedure, contact us today or visit our website!